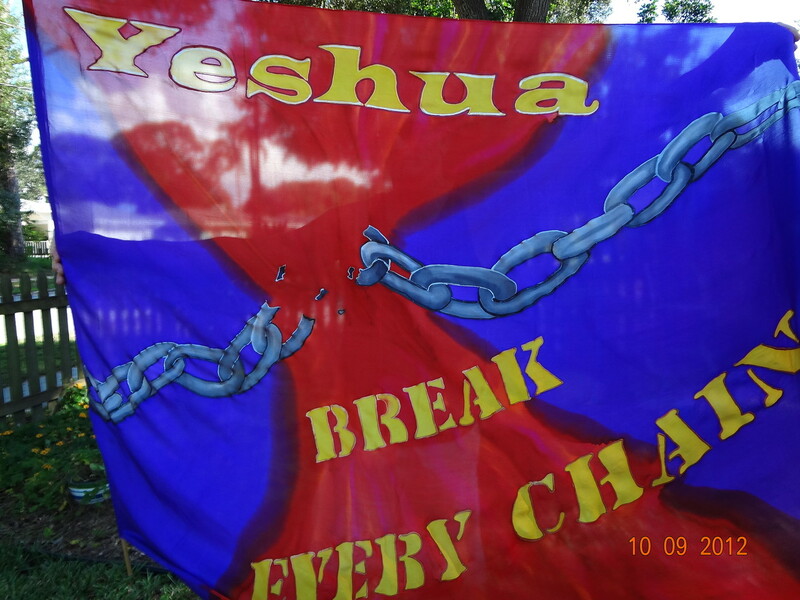 Break Every Chain Flex Flag for Prayer and Intercession - 3 Strand Cord Silks - Glowing Silk Flags & Billows based on the Bible, Jesus and His Church, to enhance your worship of God! Fabulous, dynamic image of the Blood of Jesus (Yeshua) flowing over and shattering a strong chain. 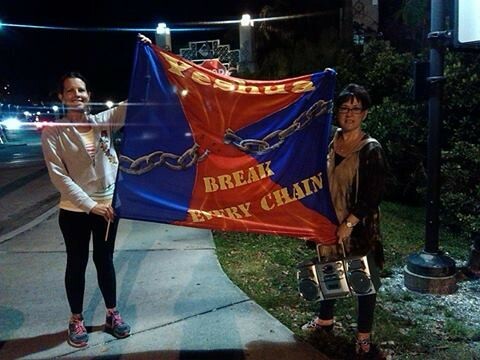 This design is a perfect example of getting a vision of a flag from heaven. 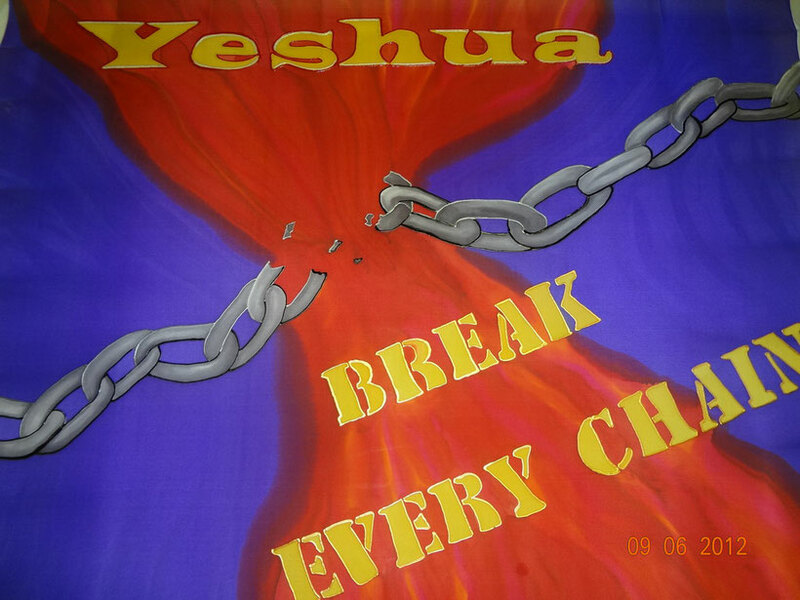 During intercession for my family I saw the Blood of Jesus coming down to break the spiritual chains off of my loved ones! The red represents His Blood, of course, and the purple speaks of His Lordship. I love this powerful message!